Quality Marketing Contents is once again facing a new challenge. Digitization has allowed no geographical barriers and any business can export their products. Oranges online by Naranjas Quique is our new internationalization project. 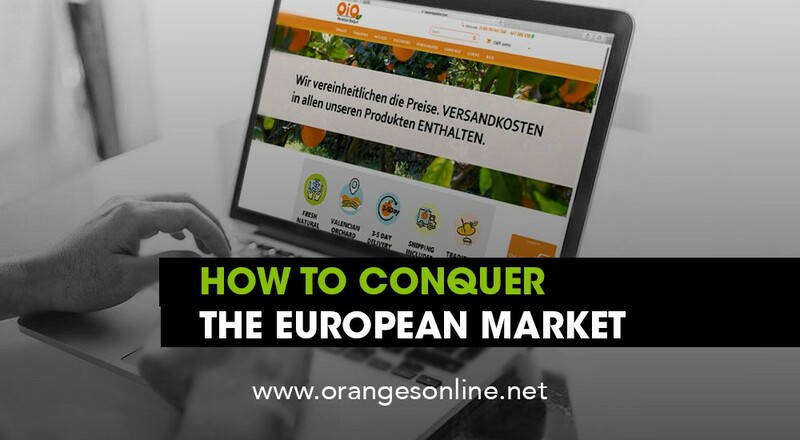 They have counted on us to sell their products (oranges, tangerines, pomegranates, avocados …) outside of Spain through their website. This business of family tradition that grows its oranges in the vegetable garden in Valencia has made a strong commitment to the digital transformation of its company, and has not hesitated to launch its products to the Central European market, gaining new customers in Germany, Belgium and Austria. From Quality Marketing Contents we have developed different actions to reach potential customers and turn leads into conversions. We have opted for omnichannel campaigns that help us strengthen branding so that Oranges Online is recognized in Europe, as well as generating trust in the target audience. That is the true key to success. We have optimized the web allowing us to convey in a clear and concise way the message we wanted to launch: a fresh product, traditionally grown in the garden of Valencia and collected at the moment the order is placed. One dose of vitamin C for all the households in Europe. We thank Quique Naranjas the opportunity that has given us to work with them in their international section and to cross borders with the quality and freshness of their oranges.